What is considered a good credit score range? Acquiring anything of value today requires that you have very good credit. Acquiring anything of value today requires that you have very good credit. The better credit you have, the better deals you can obtain on loans, insurance and even jobs. Excellent credit provides you with the highest loan offers, lowest interest rates or premiums and the least amount of down payment requirements. Therefore, it is good to know what a good credit score range is, what really influence your credit score, and how to find out where your credit falls in the scale. Your credit score is determined by your credit history. Each time you utilize credit in any form, it is recorded as a line item on your credit report. Both positive and negative highlighted actions are recorded in your credit history such as paying off a debt (positive), or defaulting on a debt (negative). Lenders, insurance agents and even some employers look at your credit report in order to see how well you have handled past credit and employment. Your credit score, therefore, determines what type of offers you receive. The higher your credit score, the better deals you will receive. The objective, therefore, is to only have positive items recorded in your credit report which will give you excellent credit and the absolute best loan deals. 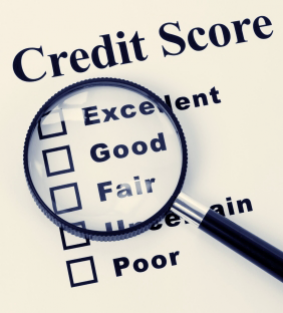 A new method for determining credit scores has been recently released called VantageScore 3.0. Before this new version, a more generic model was being utilized by credit agencies and credit bureaus to determine credit scores. VantageScore 3.0 provides more opportunities for people with very little credit to now obtain ratings and it helps people who have had their credit damaged by natural disasters by not recording negative events. Credit scores are listed as three-digit figures which lenders, employers, insurance companies and others use to determine the quality of your credit history. By understanding your credit score range, you can determine how much credit you qualify for and how good the credit offers will be. Excellent Credit: Over 800 – A credit score that is rated above 800 is considered excellent. To achieve excellent credit, you shouldn't have had any negative line items recorded on your credit report. You should also have shown a stable work history and will have successfully handled various lines of credit like revolving credit and installment loans. An excellent credit score will get you the absolute best deals. Very Good Credit: 750 – 800 – A score that falls in this range shows that you have been responsible with handling a variety of credit types and have practically no negative line items recorded. Usually, the one item that keeps people from an excellent rating is a high debt-to-income ratio which means you have more debt than you should according to your income level. A very good credit score will still get you great deals. Good Credit: 700 – 750 – This range shows viewers that you have worked to establish a solid credit history. You may have had problems with employment or paying bills on time, but you have worked to overcome them. Having a good credit score range will still help you get competitive interest rates and low fees although loan rates and insurance premiums will be a bit higher than if you had very good to excellent credit. Fair Credit: 650 – 700 – If your credit score falls in this range then it shows you have had some credit problems. Fair credit can stem from various late payments, having too much debt, or one or more collection accounts. Expect to have problems obtaining unsecured loans and some jobs as well as paying high interest and premiums. Bad Credit: 600 – 650 – A bad credit rating normally comes from mismanagement of credit through missed payments and delinquent accounts. High interest rates and premiums, large down payments and significant collateral will be required. Very Bad Credit: Under 600 – It will be extremely difficult to get credit or insurance and, if you do, it will involve extremely high interest or premiums, down payments and collateral requirements. In order to get your credit scores, simply order and view your credit score and credit report. This will also allow you to see any negative items which you can then work to remove, thus raising your credit score. Page loaded in 0.279 seconds.